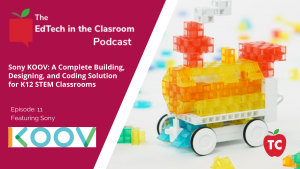 KOOV is the all-in-one coding, robotics and design kit that combines digital coding with physical building to teach the next generation of problem-solvers and innovators. Learn why @Shmoop is the best online educational publisher that covers everything for test prep to online courses for all grade levels. 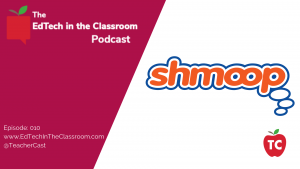 In this episode of EdTech in the Classroom, we welcome Shmoop, an online educational publisher that covers everything for test prep to online courses for all grade levels. Learn How Thousands of Students Are Learning about Digital Literacy This School Year! 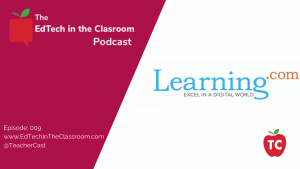 In this episode of EdTech in the Classroom, we welcome Jeff Meyer, the Director of Education for Learning.com. Learn How School Districts Are Creating A United Communication System Through The Use of Smore! 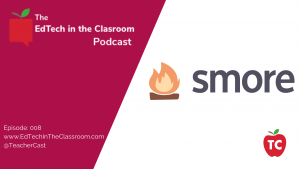 In this episode of EdTech in the Classroom, we welcome Rachel and Shlomi from Smore on the program to discuss how educators and school districts are using Smore’s robust platform to communicate with students, their communities, and each other. 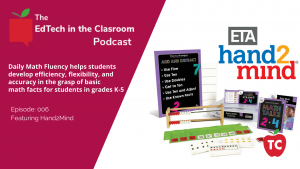 Check out EdTech in the Classroom today for other great podcasts featuring your favorite EdTech companies. 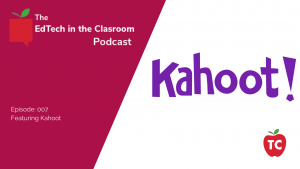 Learn About Several Great Updates to Kahoot! Just In Time For Back To School Season! Daily Math Fluency helps students develop efficiency and accuracy of basic math facts for K-5 students. 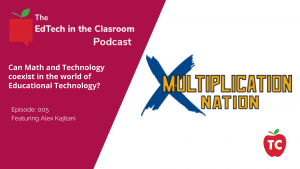 In this episode of EdTech in the Classroom, we welcome California Teacher of the Year Alex Kajitani on the program to discuss Multiplication Nation, a fantastic learning platform that helps students get a head start in the math classroom. 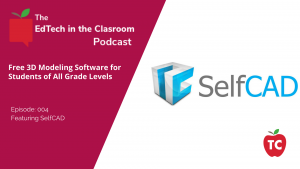 In this episode of EdTech in the Classroom, we welcome Natalia Ulianets from SelfCAD on the podcast to discuss their pretty awesome 3D modeling application. SelfCAD is an online 3D Modeling and Slicing program that allows students to create amazing physical structures no matter what platform they are using. Learn how LearnPlatform is Helping 1000s of School Districts make Data-Driven Decisions about Instructional Technology for the Classroom. 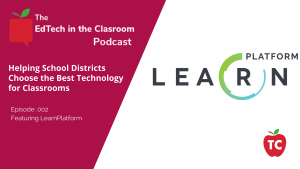 In this episode of EdTech in the Classroom, we learn how LearnPlatform is helping school districts of all sizes make data-based decisions about the technologies that are implemented in classrooms. Review: Learn why @WeVideo is the Best Audio and Video Editing Solution for Podcasters and Classroom Teachers Today! 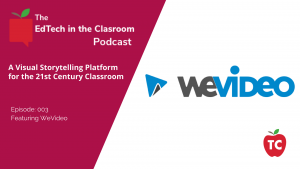 In this episode of EdTech in the Classroom, we welcome John Klein and Dr Nathan Lang from WeVideo on the podcast to discuss the importance of using video in the classroom to achieve curricular goals. @VybeSoftware Offers Students a FREE Opportunity to create Apps on the App Store and Google Play! 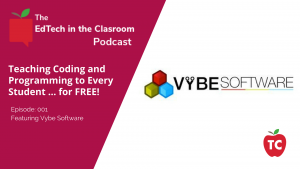 In this episode of EdTech in the Classroom, we learn how every student can have access to a FREE Coding and Programming Curriculum through DevKit, a fantastic application from Vybe Software.